LEGO Disney Princess allows everyone to build and play stories from their favorite fairytales. Princesses in glamorous dresses comes to life to recreate romance, adventure and heroism. 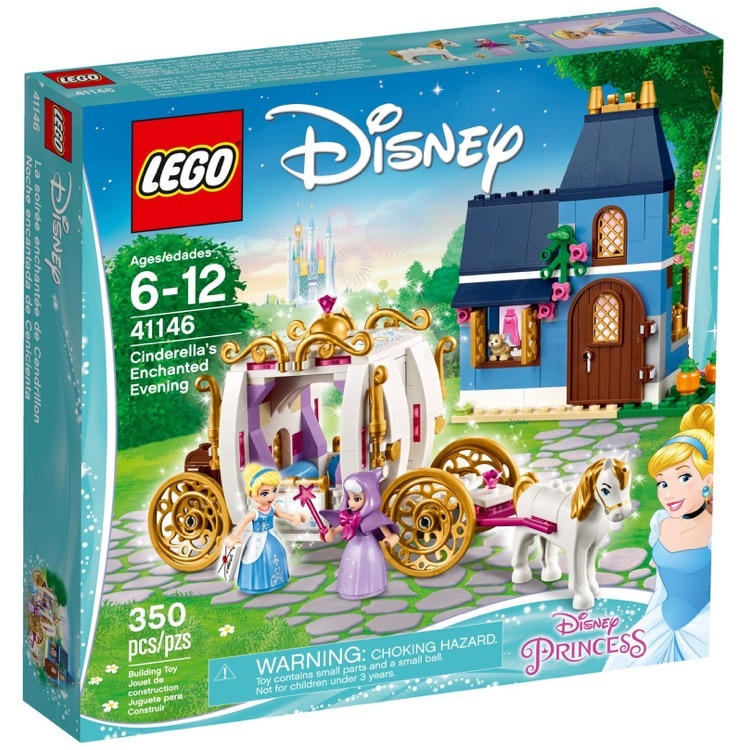 LEGO Disney Princess has all the elements, such as castles, towers, a carriage, treasure chests, gateways and more, for everyone to play out their favorite classic stories, time after time. 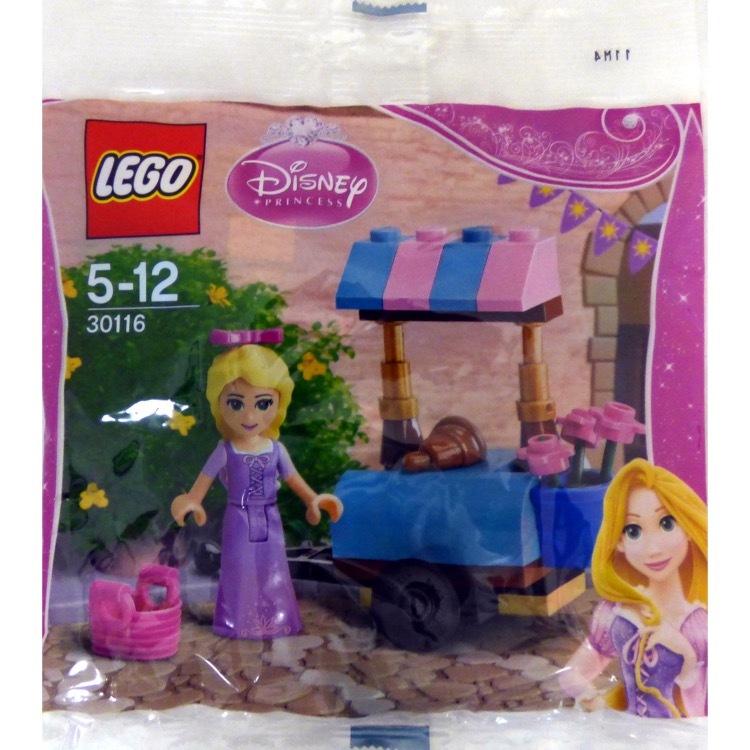 This is a BRAND NEW polybag set of LEGO® Disney Princess Tangled 30116 Rapunzel's Market Visit from 2014. This polybag set is still factory sealed and is in very good condition. 37 pieces and 1 minifigure©. 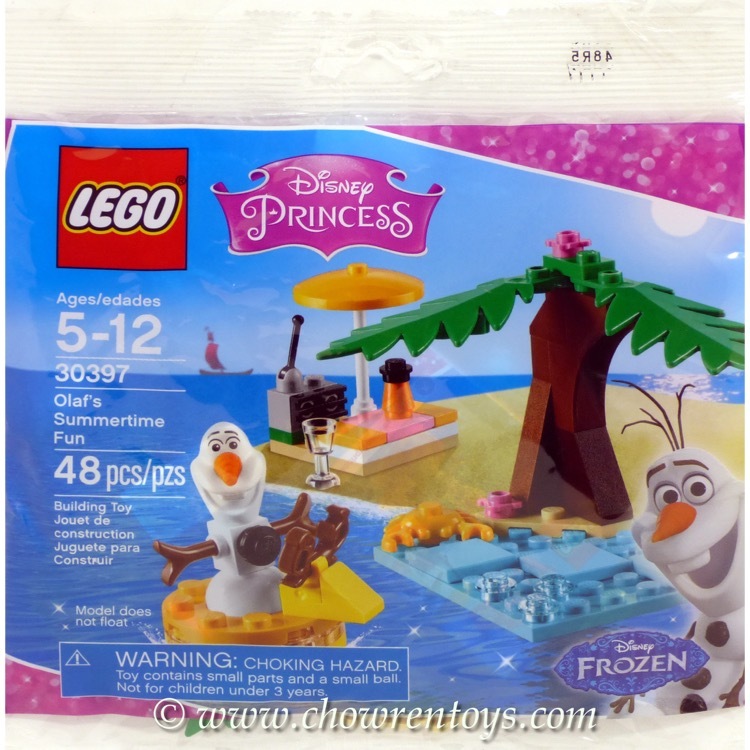 This is a BRAND NEW polybag set of LEGO® Disney Princess 30397 Olaf's Summertime Fun from 2016. This polybag set is still factory sealed and is in very good condition. 48 pieces and 1 minifigure©. 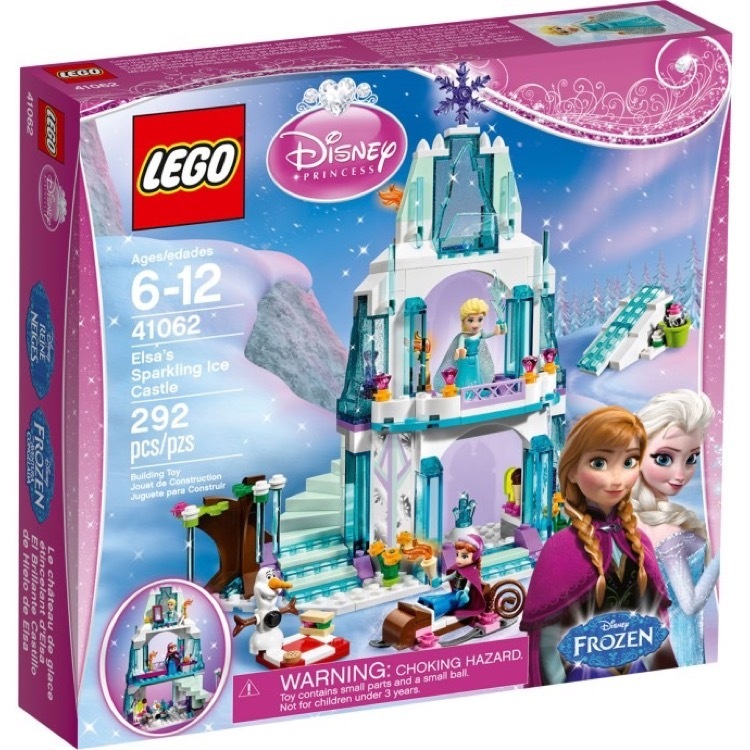 This is a BRAND NEW set of LEGO® Disney Princess 41062 Elsa's Sparkling Ice Castle from 2015. This set is still factory sealed and the box is in very good condition with minor shelf wear. 292 pieces and 3 minifigures©. 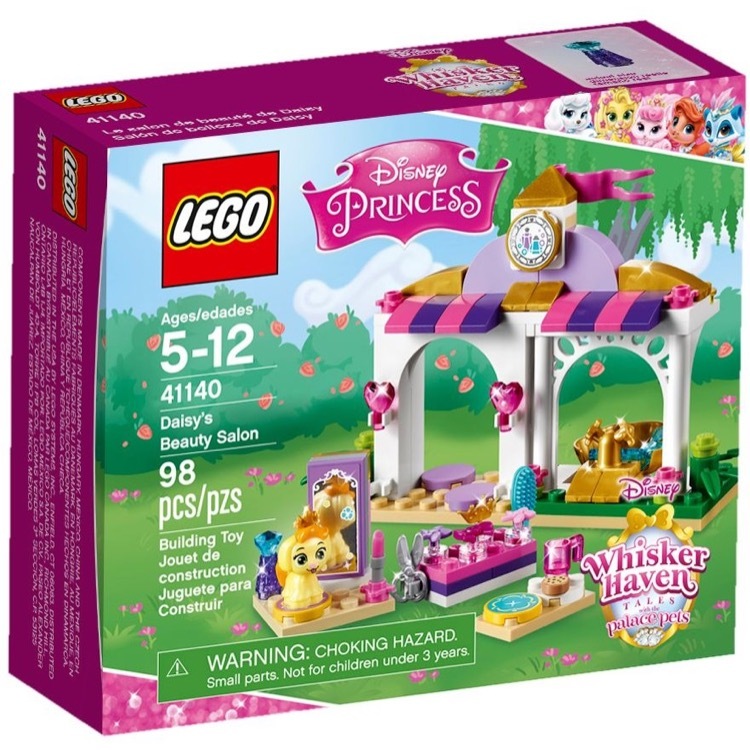 This is a BRAND NEW set of LEGO® Disney Princess™ 41140 Daisy's Beauty Salon from 2016. This set is still factory sealed and the box is in very good condition with minor shelf wear. 98 pieces and no minifigures©. 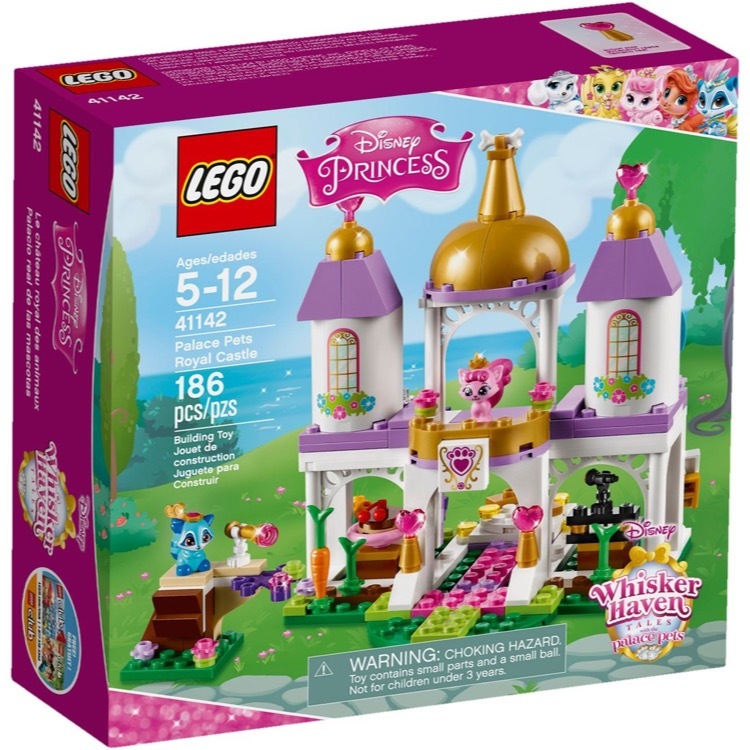 This is a BRAND NEW set of LEGO® Disney Princess™ 41142 Palace Pets Royal Castle from 2016. This set is still factory sealed and the box is in very good condition with minor shelf wear. 186 pieces and no minifigures©. 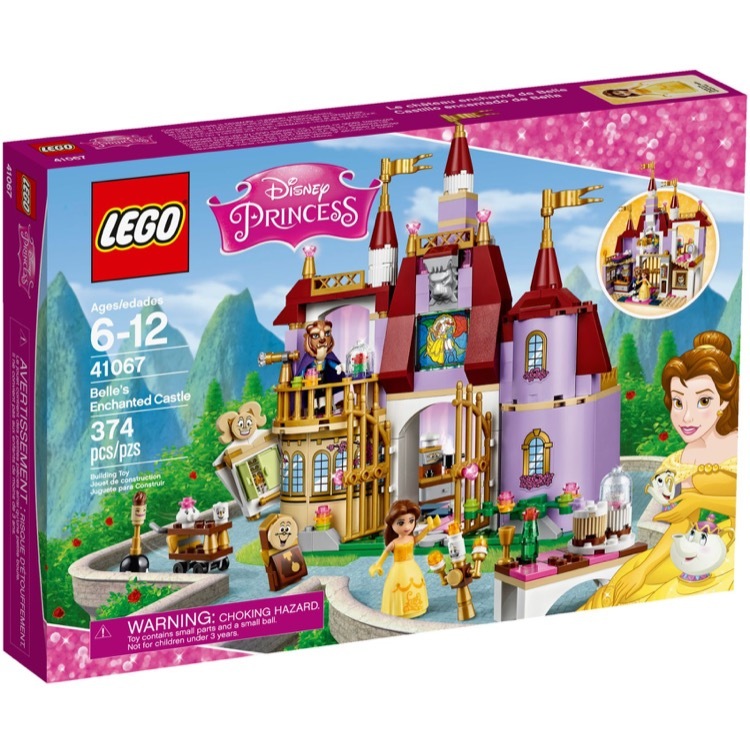 This is a BRAND NEW set of LEGO® Disney Princess™ 41067 Belle's Enchanted Castle from 2016. This set is still factory sealed and the box is in very good condition with minor shelf wear. 374 pieces and 8 minifigures©. This is a BRAND NEW set of LEGO® Disney Princess 41143 Berry's Kitchen from 2017. This set is still factory sealed and the box is in very good condition with minor shelf wear. 61 pieces and no minifigures©. 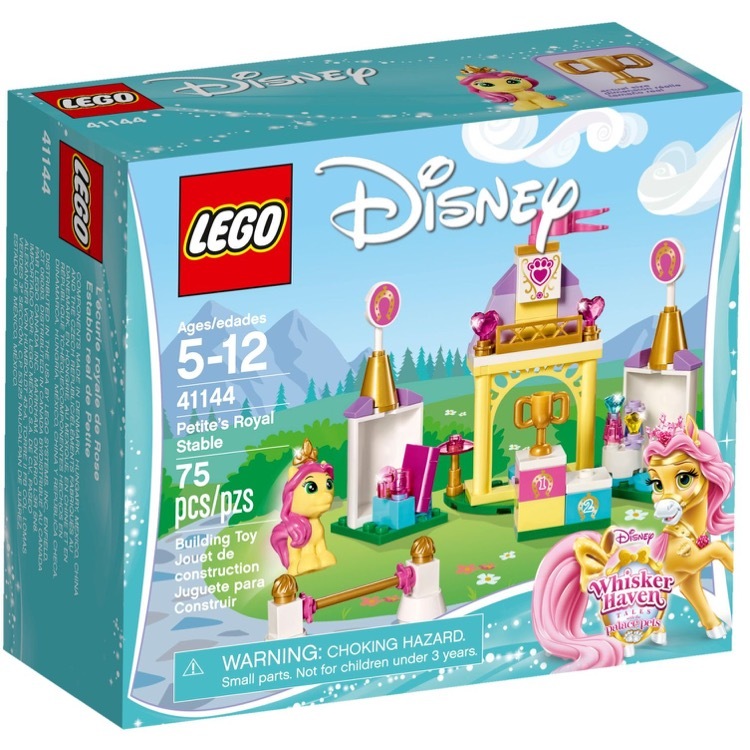 This is a BRAND NEW set of LEGO® Disney Princess 41144 Petite's Royal Stable from 2017. This set is still factory sealed and the box is in very good condition with minor shelf wear. 75 pieces and no minifigures©. 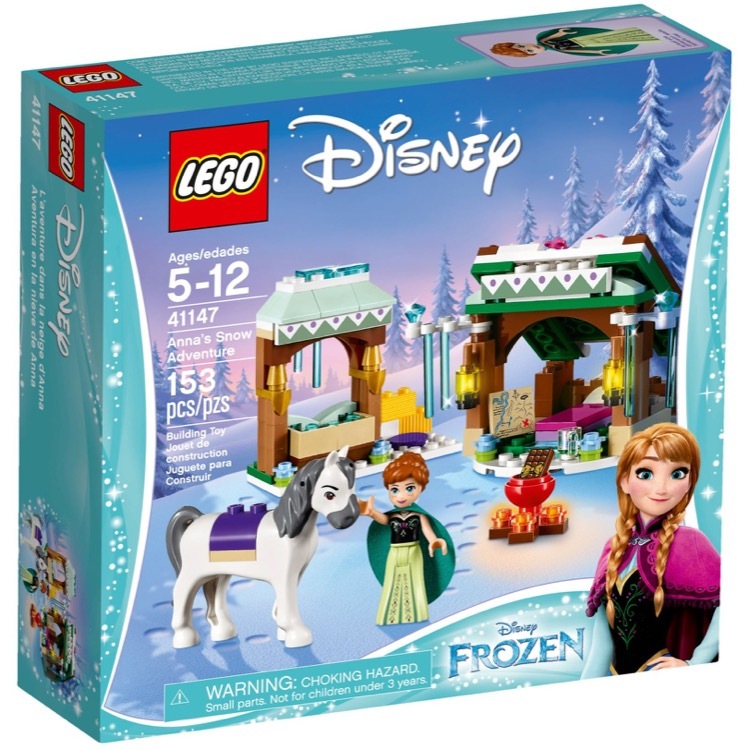 This is a BRAND NEW set of LEGO® Disney Princess 41147 Anna's Snow Adventure from 2017. This set is still factory sealed and the box is in very good condition with minor shelf wear. 153 pieces and 1 minifigure©. 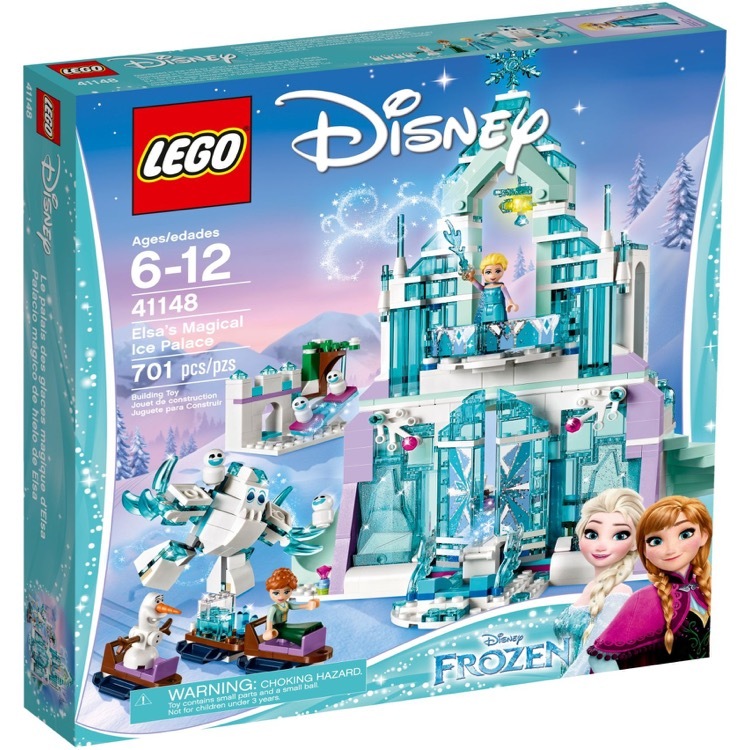 This is a BRAND NEW set of LEGO® Disney Princess 41148 Elsa's Magical Ice Palace from 2017. This set is still factory sealed and the box is in very good condition with minor shelf wear. 701 pieces and 3 minifigures©. 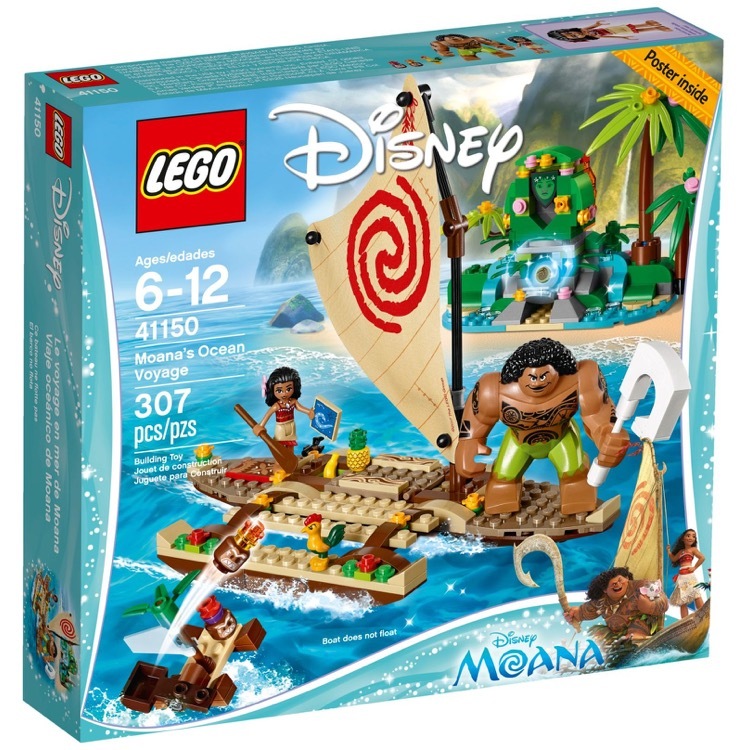 This is a BRAND NEW set of LEGO® Disney Princess 41150 Moana's Ocean Voyage from 2017. This set is still factory sealed and the box is in very good condition with minor shelf wear. 307 pieces and 2 minifigures©. This is a BRAND NEW set of LEGO® Disney Princess 41146 Cinderella's Enchanted Evening from 2017. This set is still factory sealed and the box is in very good condition with minor shelf wear. 350 pieces and 2 mini-doll figures.